This is a sponsored conversation from Mums the Word Network and The Stork OTC. Everyone's journey to parenthood is different. While some of us take being able to get pregnant easily for granted, there are women who will never be able to, unfortunately. Then you have the many women and couples who will have to go through years of struggles in order to get that one pregnancy. I am one of the lucky ones, when I was in my early 20's getting pregnant was as easy as breathing air for me, maybe a little too easy. I had my four oldest one right after the other, as my ex-husband and I had planned. I always knew that I wanted my kids to be close in age so that they would grow up together. 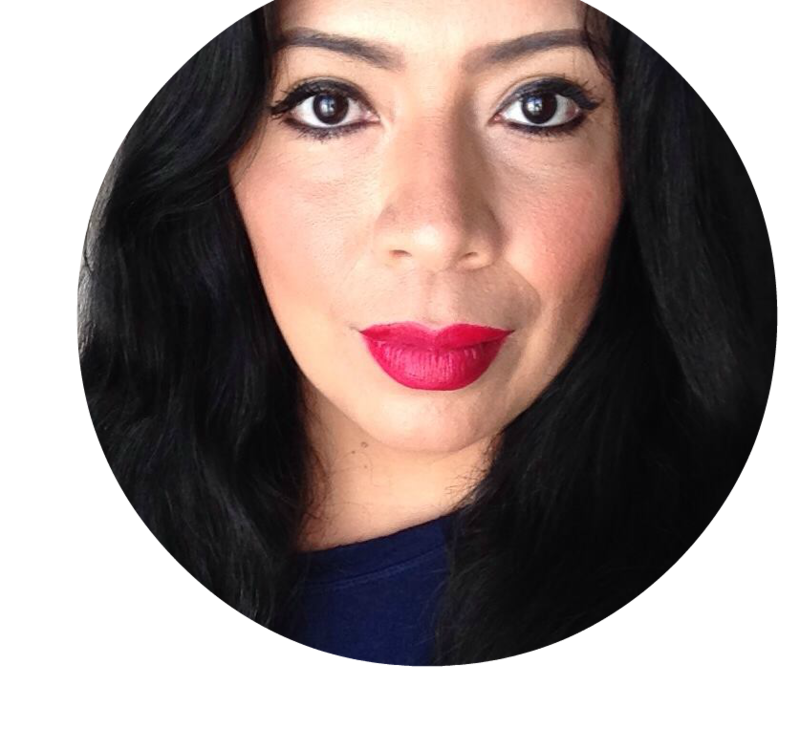 When he and I divorced years later I had four beautiful little girls, but I always knew that my family was not complete, I felt that there was someone missing. You might think four kids is more than enough, more than anyone should ever want or need. But I always knew that I wanted a big family and in my heart of hearts always knew that I was waiting for the last one. What I didn't know is that I had started getting older, so had my body. There is a 12 year gap between my second youngest and Sam. By the time that I started trying for my 5th child, my body had changed so much and was no longer ready to conceive or carry babies. We suffered through a few miscarriages, which were very painful, not just physically. I’d pretty much given up hope. Maybe I just wasn't meant to have that last one, maybe Adrian and I were not meant to have our own kids. But after three losses Sammy finally arrived. She was born in the ICU, where we'd been flown via helicopter the day before her arrival. Her delivery was something else for sure, not the quick delivery of all her sisters and back home the next day. Sammy arrived with a lot of pomp and circumstance and she really broke the machine. After her birth I was told there would be no more kids for me, which still makes me sad because I would have gladly had uno mas. I told you, I love big families and her dad is a really great father. Sammy is our saving grace. 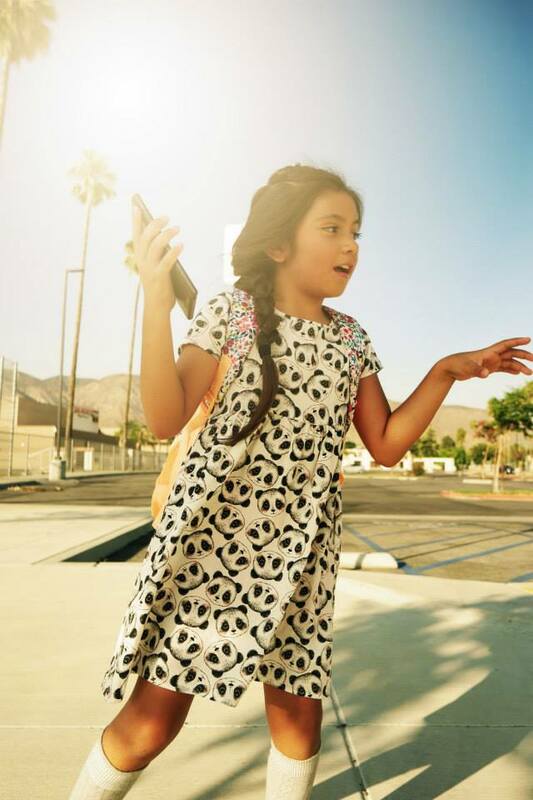 She is so different from the rest of us, not that her sisters are bad in any way, she’s just different. She is kind, gentle, nurturing and incredibly optimistic. She sees beauty in a world that tends to be more cruel than anything and she makes this world a better place by being in it. In essence, Sammy was worth the pain and struggle, and she was meant to be. I was lucky while trying for Sam because I was able to conceive and get pregnant, but it's not always so easy. For those women who need help it's good to know that there are options. The Stork OTC is designed as a "Next step" treatment option for those trying to conceive. The Stork OTC targets common conception difficulties and allows couples to take a proactive approach while trying to get pregnant. Get informed about The Stork OTC and find out if it's a good option for you by visiting StorkOtc.com. The Stork can be purchased at Target in the family planning section next to the ovulation kits. 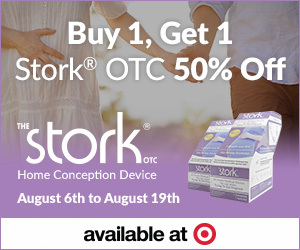 25% off Stork OTC Single Device at the Stork OTC Online Store through the end of August. 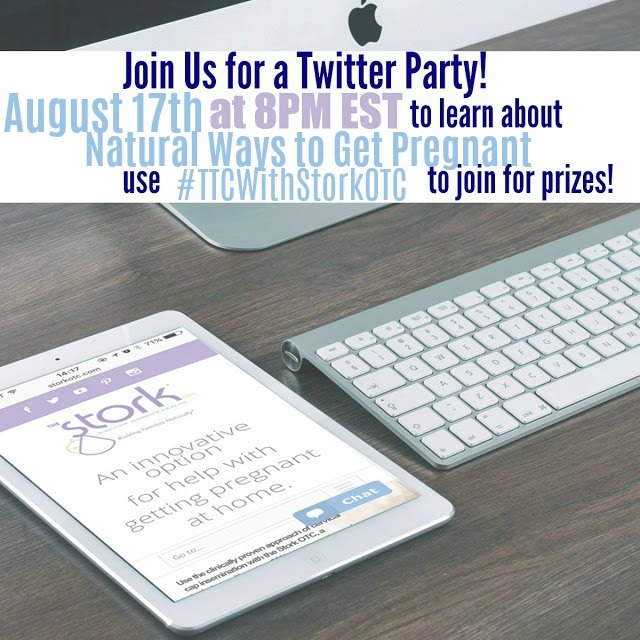 Take part in the upcoming Twitter party on August 17 at 8pm EST and urge them to participate with hashtag #TTCwithStorkOTC.